– Declaration of the First International. – Lenin, ‘What Is To Be Done’ (in stark contrast to the Declaration of the First International). Would-be leaders often proudly proclaim that they will be the ones to provide the solution to problems in workers’ lives. This is true of business fat-cats, the heads of the trade unions, and politicians of every type (from social democrats through to the so-called revolutionary parties). However, these claims are undermined time and time again by the often distorted and misunderstood concept of working class spontaneity. We in the working class are fully able to take direct action for ourselves. We can develop new forms of struggle and organisation to meet our needs. In every great revolutionary upsurge we have developed new tactics, from workers councils and road blockades through to flying pickets and sit-in strikes, regardless of our would-be leaders. Many leftist organisations attempt to channel or suppress this activity for their own ends. Trade unions, in particular, act to prevent or divert class spontaneity both in the workplace and the community as it is their ability to control militant action that preserves the union bureaucracy (and their place at the bosses’ table). 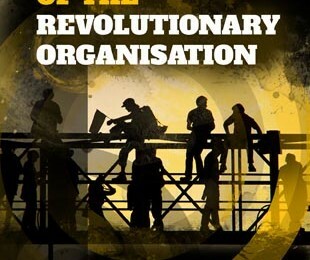 Others think that as the working class are able to take action spontaneously, there is no need for anarchists to form a revolutionary organisation. However, it does not follow from either of these positions that we should not form organisations. Agitation by a revolutionary minority can provide skills and knowledge that greatly help to spark the revolutionary process. Without this preparation the chances are far greater of our struggles being defeated or diverted against our interests.